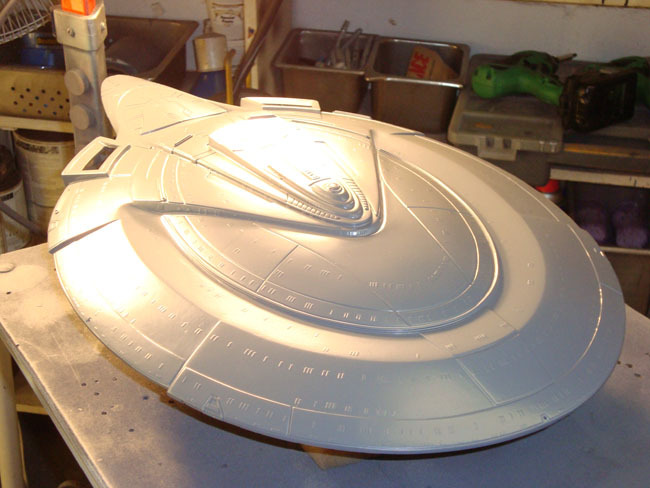 Interests:Model and Prop reproduction builds, UFO's, Gardening, Fine Arts, Movie Prop collecting. Here's my latest project currently "on the bench", I like this topic thread, good thinking! This is the Fiberglass, resin, and metal etch kit by Sovereign Replicas. A "no-nonsense" kit, big, few parts, and requires some serious planning. 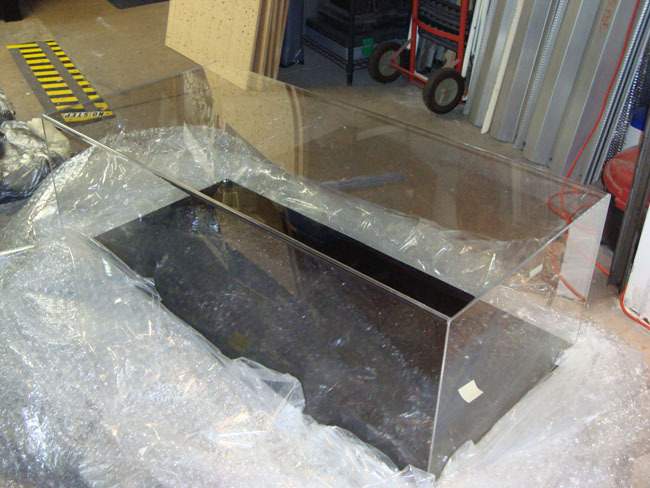 Cast in clear fiberglass, allowing porthole and window masking without the need for cutting out apertures, and creating glass in them. To be honest, I would rather be applying self-stick window masks one-by-one as you are doing rather than struggle with individual armor track links. Your photo of the sheet of masking material suggests that you pre-cut about a thousand window masks with your knife. You appear to have a good, if not tedious, start to the project. 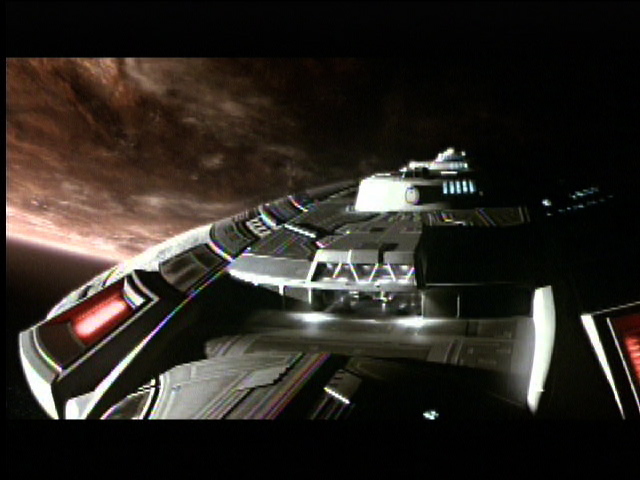 Is there an ETA on completing the window masks on the entire hull? How will you treat the windows for interior spaces that have their lights "off" rather than "on"? I hear that Ed! Those track links are a pain! The masking sheets are made for me by a fellow named Lou Dalmaso, he supplies this custom stuff to builders. Tedious, it's MIND-NUMBING!! 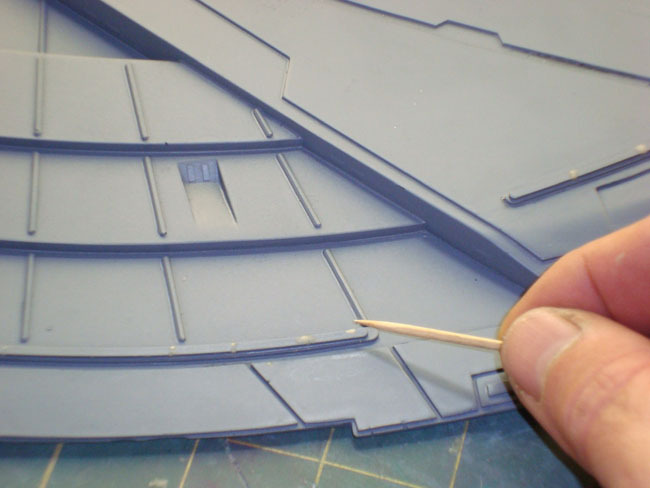 The masking of the entire hull is hard to "eta" as each section is built as a sub-assembly. The entire project will take approx. 8 to 10 months. I'm trying to light each and every window, we'll see how that goes. You can see more on the process by visiting the Video Gallery on the Kit Factory website. Thanks for your comment Ed. OK, here's some more "stuff" on this project. 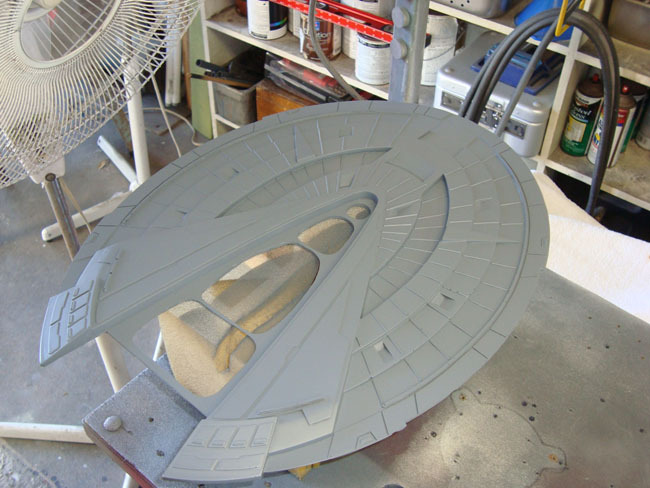 I have worked on the upper saucer section to the point where it can be later painted with the primary color. For now, it's going to be filled up with lighting doodahs. Love the new format by the way, very nice! Clean and efficient, Papa likes! These "garage" kits are done with limited facilities, so a fair amount of small defects do show up after casting. Caused by trapped air, they must be filled with decent putty, like Apoxy sculpt. Once this is done, the additonal coats of primer can be applied. Primer is great for revealing these defects that are hard to see, especially on a clear cast kit like this. Once those little suckers are gone, you know you can apply a final coat of primer, and get on with it! I can only hope that the final results, late next year, might be worthy of another article in the IPMS Journal! Maybe, perhaps, we'll see how it all turns out. They did a marvelous job on the refit article, I was extremely impressed with the layout that was printed! 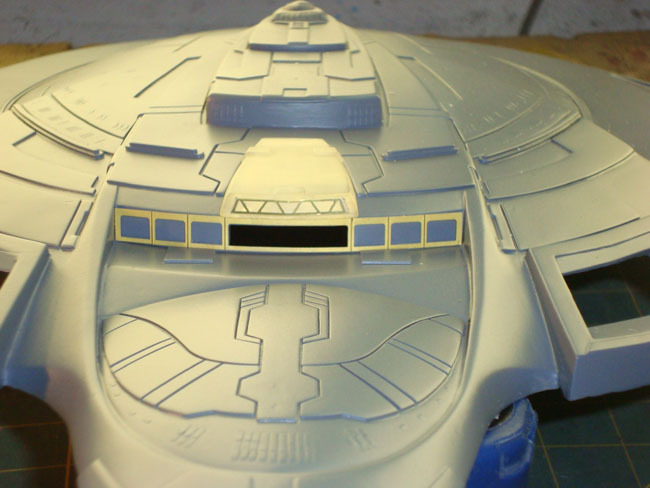 As these big sections are refined and ready to work with, I enter the lighting stage on one of the detail features of this display, the Shuttle Bay at the rear of the primary saucer. Some nice metal etch parts augment this area, and I am trying very hard to add the lighting effects I see on the actual prop from clip captures. It's very tiny work, and the spotlight effects will be done with some fiber optic strands. Channels must be drilled that allow curved strands to shine down on the exterior Door area. The Bay details will be scratch-built, and it seems that the Shuttles from the 1/350th Polar Lights kit may be good to use, slightly altered. I'll go by screen captures on that stage as well. The images show some of these stages, I got somewhat familiar with Photoshop techniques lately, so I cut down the size of my "UnGodly Big Pictures"! Next time, I should have some actual lighting shots, and it will get more interesting. Gotta do the "nuts and bolts" before you get to the fun stuff.